Can VR karaoke save the flagging KTV industry? When karaoke machines first appeared in Japan in the 1970s they were considered an expensive fad. Almost 50 years later, KTV is one of Asia’s favorite pastimes and in China, it is already absorbing the newest trend in entertainment – virtual reality. 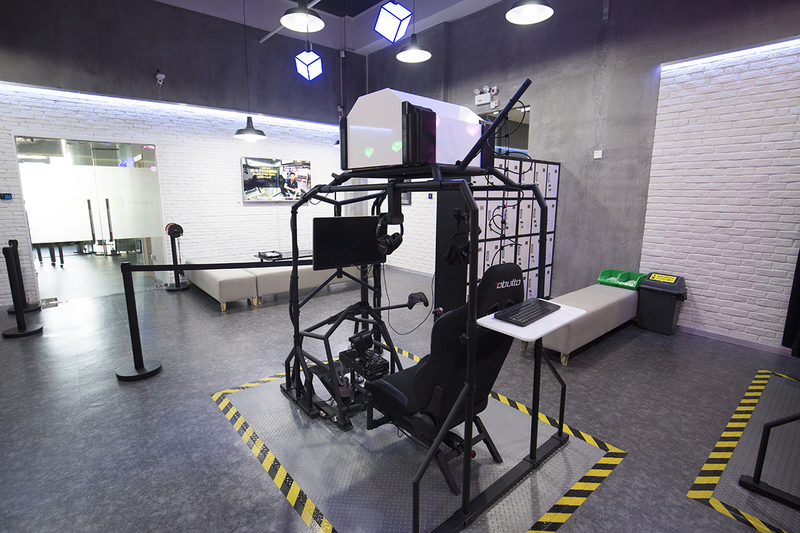 VR arcades have been popping around China’s cities on a massive scale, and it is not just because the Chinese are open to new technologies. The VR Lounge also applies this KTV-style approach to VR entertainment. The cozy space is equipped with self-serving VR consoles designed by the company which enables users to have fun in privacy. But does the KTV model have a future? A maturing entertainment market, e-commerce, and the rising cost of rent and labor is making KTV lose its appeal. One of the big KTV players, Chinese property and entertainment giant Dalian Wanda Group, closed its karaoke parlors and exited the business in 2015. VR parlors are experiencing a similar fate. The market is quickly getting saturated and the novelty is wearing off. More importantly, with so many entertainment options users quickly get bored. Some companies are trying more novel approaches to the waning KTV business. The Mini KTV is a booth slightly bigger than a telephone booth equipped with only two seats, earphones and a microphone and a touchscreen. One of the companies operating Mini KTVs, Beijing-based Haipi Lejing (嗨皮乐镜) recently started adding VR goggles to the mix enabling users to transport themselves from a stuffy little glass box into another world. Last year, Mini KTV attracted attention from investors. 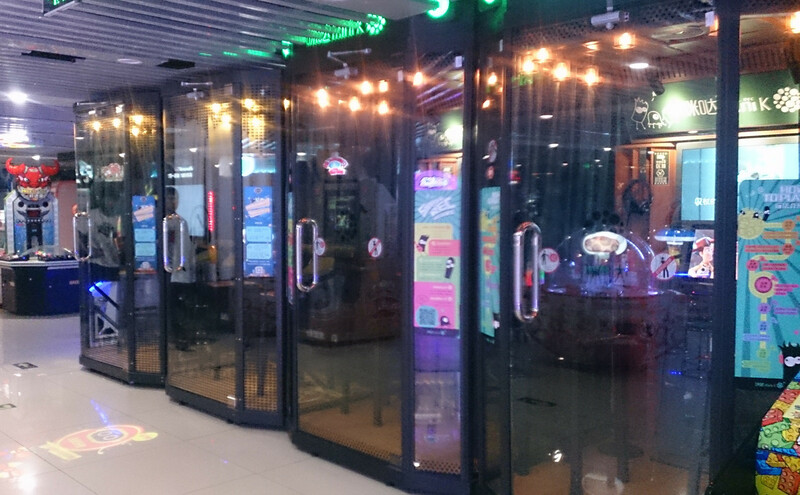 One Mini KTV company Youchang M-bar (友唱M-bar) received RMB 60 million in Series A financing (in Chinese). The actual experience of VR Mini KTV, however, is somewhat underwhelming. One user named Amy described it as “just OK” with the typical blasé expression of a teenager. The biggest issue plaguing VR KTV is the content. Mini KTV only had a few 360-degree video by Korean pop stars that could be watched with VR goggles. 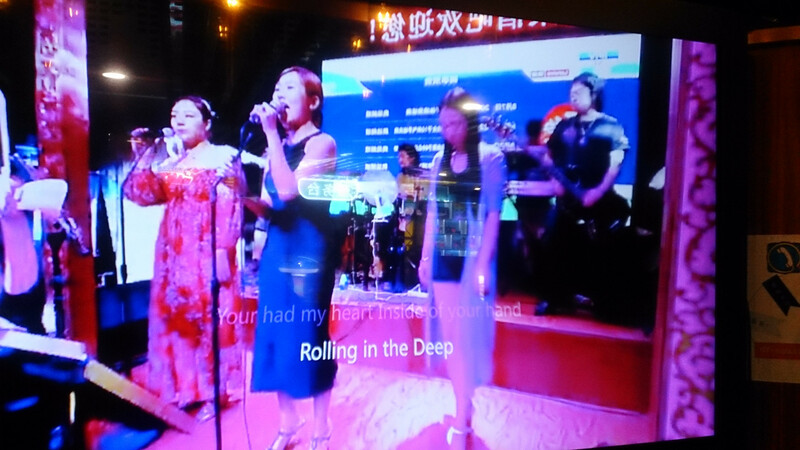 The rest of the 30 or so videos looked quite random: Adele’s “Rolling in the Deep” was accompanied by a 360º video of a seedy-looking Chinese KTV bar. Another problem is interaction: KTV is supposed to be a social experience but the VR goggles isolate users. Oculus has decided to solve that with its VR karaoke game SingSpace where players can pick an avatar and interact with other users. Unfortunately, Oculus’ products are not available in China. Monica, however, believes that VR KTV will not fade into history. However, that hasn’t stopped musicians from contributing to the VR industry. U2 recently made a 360º music video for their single “Song for Someone.” British virtual band Gorillaz have taken it a step further by enabling fans not just to step inside their music video, but also to join their house party thanks to a combination of VR, augmented reality, and 360-degree videos. Ultimately, the biggest dream of any music lover is to feel like he is on the stage himself, singing his favorite songs and cheered by a 10,000-strong audience. In VR, we can finally become our idols.